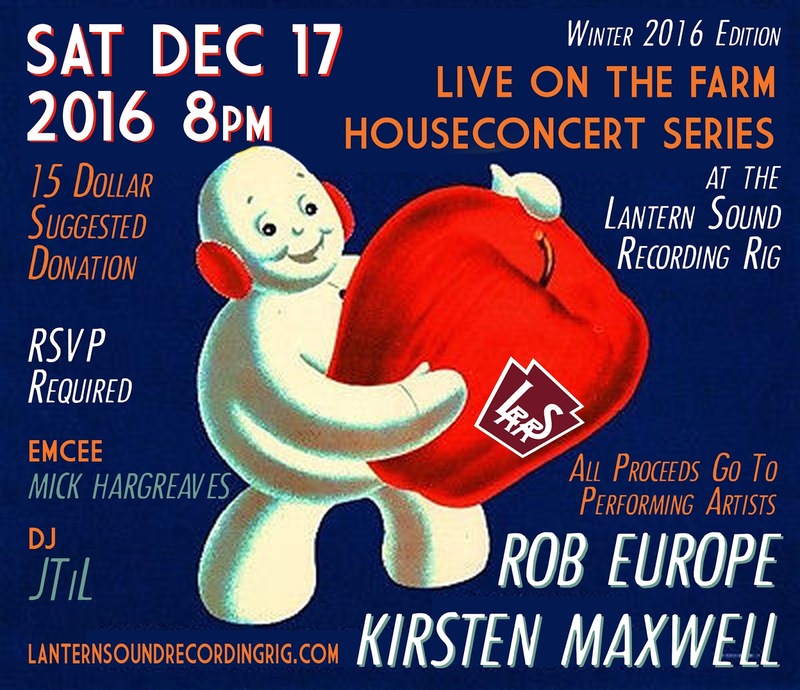 The eleventh installment of our acoustic house concert series at the Lantern Sound Recording Rig is one of two Holiday Editions in 2016 featuring blues songwriter ROB EUROPE (who's just finished a record here at the LSRR that covers many, many bases) along with the angelic, mesmerizing KIRSTEN MAXWELL, who has been lighting up stages all over the eastern USA. DJ JTiL will rev things up after the show. We are located in the Central Long Island Pine Barrens, near exit 70 of the Long Island Expressway. RSVP (a must) to Mick Hargreaves via all the usual Social media avenues, or email (info@lanternsoundrecordingrig.com) to get details and location. 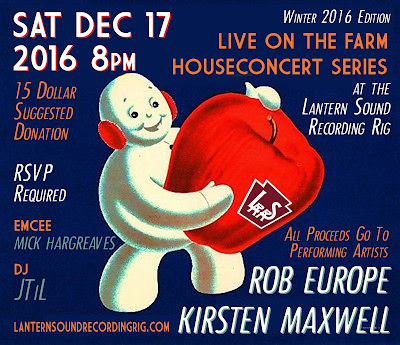 Beverages, snacks will be available, and a $15 suggested donation goes to the artists. Bringing a dish to pass & BYOB AOK. Doors 8pm, Music 8:30 pm.